Shortly after 3:30 a.m. on May 19, 2013, Officer Daryl Raetz, #8899 and his partner were finishing the processing of the scene from a DUI stop in the area of 51st Avenue and Cambridge. At that time, Officer Raetz was struck by another vehicle, which was traveling northbound on 51st Avenue. 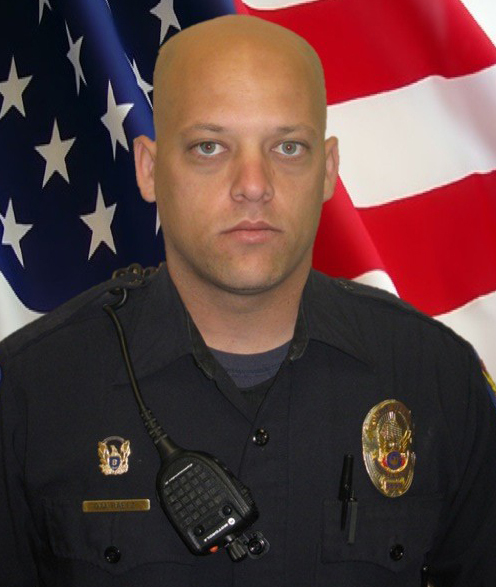 Officer Raetz was transported to a local hospital, where he died of his injuries. At the time of his death, Officer Raetz was 29-years-old and assigned to the 81K squad in the Maryvale Precinct. Officer Raetz had been a Navy Corpsman, who served two combat tours in Iraq before becoming a Phoenix Police Officer approximately six years ago. Officer Raetz is survived by his wife and young daughter.